I finally hosted my first Modern Calligraphy Workshop in Baton Rouge, Louisiana! It has been something I've wanted to do for quite some time now, and I'm still overwhelmed with happiness with how great the event went. Calligraphy/Handwriting is something that is very important to my family, it was something my grandfather valued, and he passed that onto my mom, who in turned taught to me and my brothers. I was really excited to host this workshop on my mom's birthday! It just made the day a little sweeter. 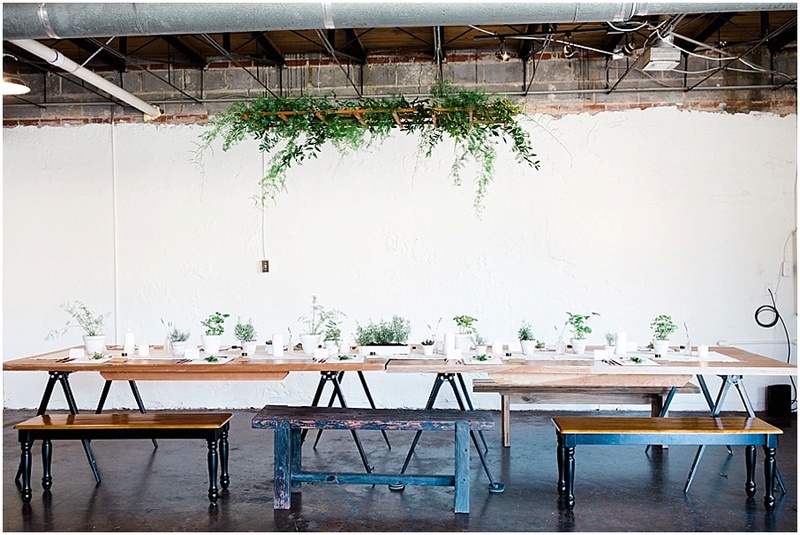 I was able to host the Modern Calligraphy Workshop at The Parlor, it was the perfect venue! I wanted it to have a garden themed feel to the space. Gathering over a table for dinner is always something important to me, and instead of the attendees having plates in front of them it would be their calligraphy supplies. 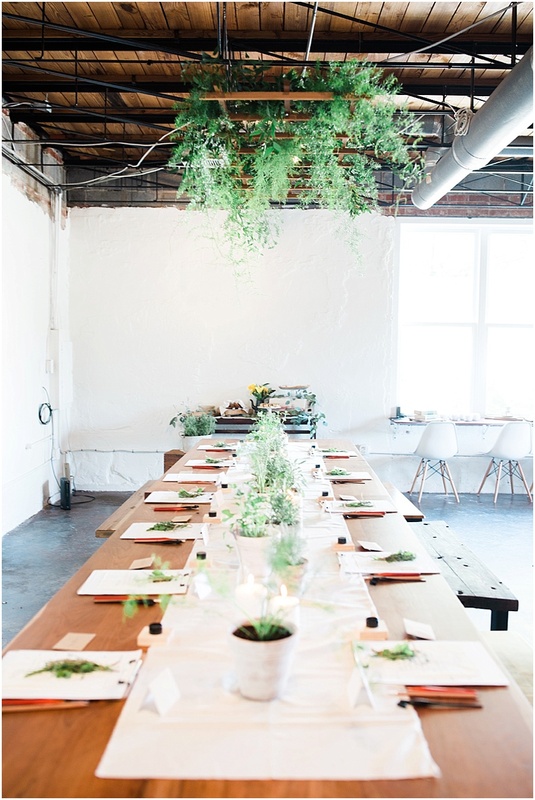 The tablescape and supplies were adorned with herbs and greenery, and the greenery on the chandelier above the table was by far my favorite parts of the detail. In order to keep with the gathering of the table – I baked pumpkin bread and coffee cakes for the attendees to enjoy while they worked, oh and of course lots of coffee. I absolutely loved teaching everyone. I was so impressed how quickly everyone started perfecting their techniques. Everyone was so eager to learn, and I loved writing with them. Special thank you to Stephanie Ringler with Roses and Lace for decorating the space of my dreams! She paid attention to the smallest of details! So if you guys are excited about the hand-painted distressed pots, and wonderful greenery chandelier, that is all thanks to her! It wouldn't have come together without her helping hands! I simply cannot thank everyone for signing up and letting me share my passion with you! 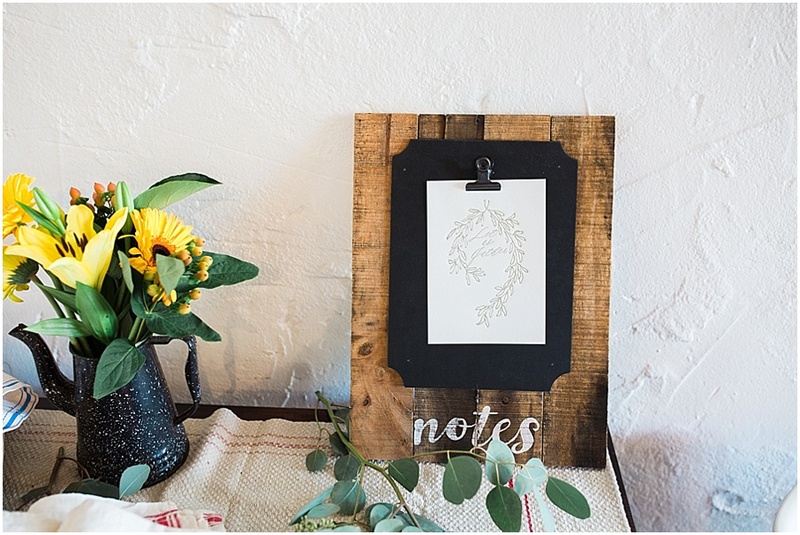 Overall this was one of my favorite experiences, and I would have never realized the journey posting a calligraphy print on Instagram would have taken this lifestyle photographer.